Buy Natures Aid Organic Pumpkin Seed Oil 250ml in the UK from our online shop or directly from our independent Scottish store. Natures Aid Organic Pumpkin Seed Oil is produced from cold pressed Pumpkin seeds to add a smooth nutty taste to your favourite sweet and savoury dishes. Where can you buy real Organic Pumpkin Seed Oil safely online? If you are wondering where you can buy Natures Aid Organic Pumpkin Seed Oil 250ml safely online in the UK, then shop with us. 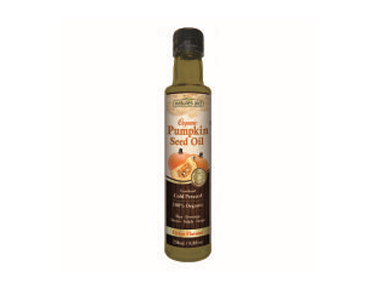 Organic Pumpkin Seed Oil - Natures Aid Organic Pumpkin Seed Oil 250ml in Cooking Oils and Cooking Oils & Vinegar.